The below content is sponsored by Capital One Bank. All opinions are my own. This sentence has become my mantra in the last few weeks as I’ve started the press rounds to promote my book. (Don’t worry, I have a point. I’m not just plugging my book!). It’s one of my go-to opening lines because it’s imperative to have podcast hosts, reporters, and listeners immediately understand my baseline. The reason I made a rational financial decision at age 18 to go to the college that offered scholarship money so I could come out debt free, the ability to set a goal to save $10,000 in college and reach it, getting off parental welfare as soon as I graduated, and then moving to New York City and still saving money when I only earned $23,244 all happened because I was raised to be financially literate. In a recent conversation with my dad, I asked him if the money lessons from my childhood were created on the fly or if he and my mom were being deliberate in their tactics. “We wanted to raise you and Cailin (my sister) to be enabled, not entitled,” he responded. This comment has been running around my head ever since. Enabled. It’s a perfect word to describe how I want all millennials – from the broke to the financially confident – to feel with their money. You, right now, have a choice to either start controlling your money or letting money control you. You, today, can start taking the steps to become enabled. To celebrate National Financial Literacy Month (which is April, in case you were unaware) – I’m partnering with Capital One Bank to share my favorite financial tips through a three-step playbook that will help you get your financial life together (#GYFLT). Sorry, but you have to do this. All it takes is sitting down and writing out exactly how much money you have coming in each month and how much is going out. Then add a $100 buffer. Trust me, you’re going to forget some expense when you first run the budget so having that $100 buffer offsets the problem. Subtract your monthly expenses from your monthly income and boom, you’ve done your cash flow. If that number is negative, then it’s time to start making the hard choices. What can get slashed from your monthly expenses? Can you negotiate with anyone to reduce a reoccurring expense? Do you need to figure out how to bring in more money? If that number is positive, then you need to be putting some of that money away into savings before it hits checking. Even if you can only save $5 per paycheck – DO IT! 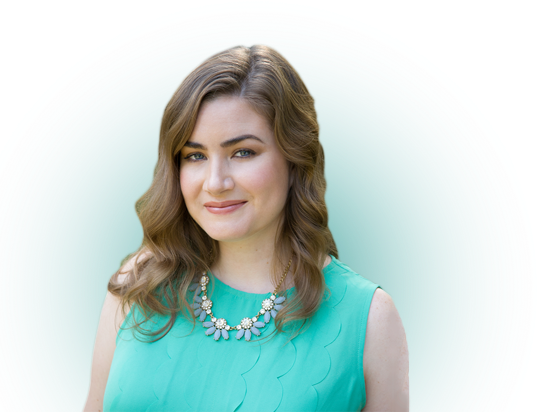 Don’t be discouraged into avoiding saving just because you can’t put away hundreds or thousands of dollars a month (yeah, some folks put away thousands!). The important step here is simply forming the habit. That way, when you actually have more discretionary income, you’ll be able to kick up how much you’re tucking away and it won’t be a massive lifestyle shift. Never assume it will be easier for you to do in the future. A healthy credit history is an insurance policy on your financial life. Do any of us want to have to borrow money? No. Do we all wish we could buy everything we want or need down to a house in cash? Sure! But realistically, it’s probably not going to shake out that way. Having a healthy credit history and high credit score means that you can unlock the crème-de-la-crème of financial products. In order to get those products, you want to have a flawless credit report and a 700+ credit score. Initiate your credit health check up by pulling your credit report. I know that everyone wants to talk about the credit score, and we’ll get there, but start with your report. You are entitled by federal law to a free copy of your credit report from each of the three credit bureaus (Experian, Equifax and TransUnion). You can get these reports for free from annualcreditreport.com. Look at your report and check to ensure everything is accurate. You’ll see any time you screwed up and paid late or if an item went to collections or the times you just applied for credit – even if you didn’t take it or get approved. Only after you’ve gotten a good sense of what your report looks like, do I want you to check out your score. Your credit report doesn’t come with a score, but you can still get access for free. CreditWise – which is also available to everyone, whether you’re a Capital One customer or not – offers free credit monitoring as well as a simulator tool to play around and see how your behaviors can and will affect your credit score. You may know that you’ve got debt. You may know the types of debt. But do you know, down to the penny, exactly how much debt you’re carrying? If the answer to that question is no, then it’s time to face the numbers. There’s no way you can properly get your financial life together without knowing exactly how much debt you have, the interest rates, the minimums due and the timeline for repayment. Once you’ve gathered your numbers, it’s time to move on to step 2. Once you’ve started to master the basics, it’s time to figure out exactly how to deploy your newfound skills. My recommendation: Set some goals first and then create an action plan about how to get there. Now you’ve got your goal and a timeline, so start the action planning. Let’s pretend you do have to pay $500 a month towards your credit card. You now need to plan exactly how you will adjust your budget have that much available each month. Perhaps it’s tweaking habits like your daily lunch out or picking up a side gig. Keep yourself accountable by running a weekly money meeting and checking in on both your budget and your goals. Once you’ve got the basics down, I implore, nay demand, that you start treating your money with respect and dignity. The best way to do this is by picking and using the right financial products for you. Ditch any fee-riddled checking accounts charging you monthly maintenance fees or requiring a daily minimum or lobbying $35 overdraft fees your way if you make a mistake. Please, don’t ever leave your money sitting in a 0.01% APY savings account. You deserve to be earning more and it’s not hard to make the switch. Check out Capital One’s savings account options. They’re convenient and straightforward, which makes you feel more empowered to bank with confidence. Taking a few hours one weekend to audit all your financial products could end up saving you hundreds of dollars. 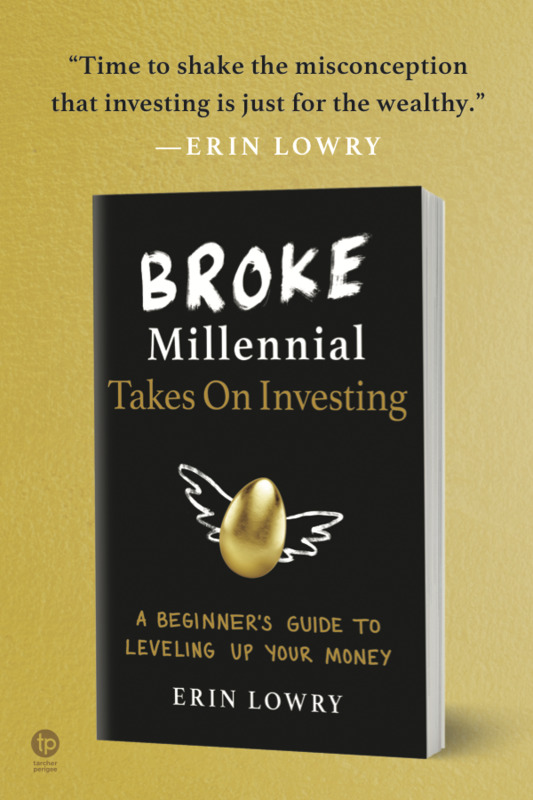 Enter to win a copy of Broke Millennial: Stop Scraping By and Get Your Financial Life Together! As a part of my partnership with Capital One for National Financial Literacy Month, I’m giving away 10 copies of my new book Broke Millennial: Stop Scraping By and Get Your Financial Life Together throughout April. If you liked any of the above tips, all of those and more are inside! Each week, I’ll be announcing a new round of giveaways on Instagram and Twitter, so watch out on @BrokeMillennial on Twitter and @BrokeMillennialBlog on Instagram for more! To enter the giveaway, share how you plan to Get Your Financial Life Together using #GYFLT and #contest this April in a tweet or in the comments section of my Instagram post, and encourage a friend to do the same! For this week, entries are open until 10 am ET on 4/14/17. The first two winners will be selected on Friday, April 14th at 11 am ET! I’ll be giving away 10 books this month, so be sure to follow along for next week’s round! Winners are restricted to U.S. residents. No Purchase Necessary. Check out the rules here: http://bit.ly/2nUkIkI. I love that the first “basic” you mentioned was budgeting. Too many people don’t know how much they make or what it costs them to survive. Then they wonder why they can’t get any “traction” with their money. Budgeting and planning is more than half the battle, and you have to make the money match your goals like you said in step 2! Great post. Good article. You are right, save anything you can. Five dollars….whatever. You have to start somewhere. Once you figure out your budget, make sure you have a plan. Save a little for retirement (it comes faster than you know), save for a car and/or home, maybe a vacation (never go in debt to go on vacation). I’m also one of the lucky few who learned about good money habits from their parents. While I still have a lot to learn, just being able to keep a simple budget is already a great deal. It’s only been a few short years since I started treating money with respect and dignity, as you put it. But nevertheless, I’ve never missed a bill’s deadline or “forgot” to pay rent or an installment. 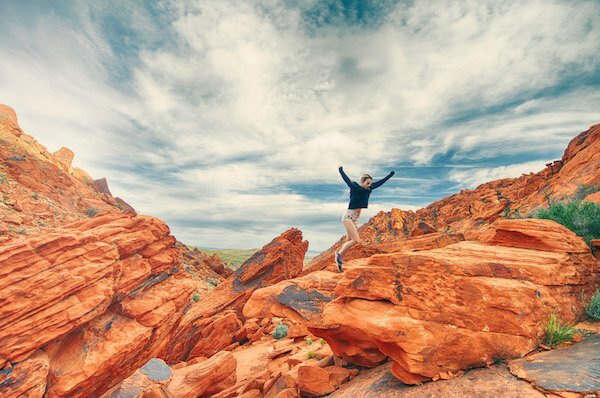 Setting a goal and creating an action plan is crucial to heading to success. This goes for many aspects of life, whether it be budgeting, wanting to live healthier, or paying off a loan. I work best when I create a written plan that I can check off as I go. Great article, this is a really great outline of steps for people to follow on their financial journey. I also an really grateful to my parents for the money habits they passed down to me. Some of my friends who didn’t have the same lessons have had a harder (not impossible) time learning them as adults. Love your line, “I implore, nay demand, that you start treating your money with respect and dignity”. We work so hard for our money, then store it in crap accounts that don’t align with our goals. Here’s to respectable returns on investments! Great article! Thanks for the details on the credit report and credit score tracking options. You just can’t express enough how important it is to maintain a healthy credit score. Financial literacy is something which is important to get success in any money based activity. Well, you have provided great tips in this regards and also pour lights upon the importance of credit scores. From setting a goal to making efforts to achieve it, needs financial knowledge which you expressed here in great way. Your bit about “Facing the numbers” is so true. My wife and I are debt free now but I still find it a struggle to TRULY face the numbers in detail. It’s like my brain subconsciously “CAN’T HANDLE THE TRUTH”. Just updated our budget this week and it’s shocking to see how expense will start to creep up again if you’re not watching the numbers for real. Setting a goal and creating an actionable plan is hands down the best thing you can do! So many people wander life without setting any realistic goals. Thanks for sharing!